New Pending Sales are down -11.3% and New Listings are up 12%. 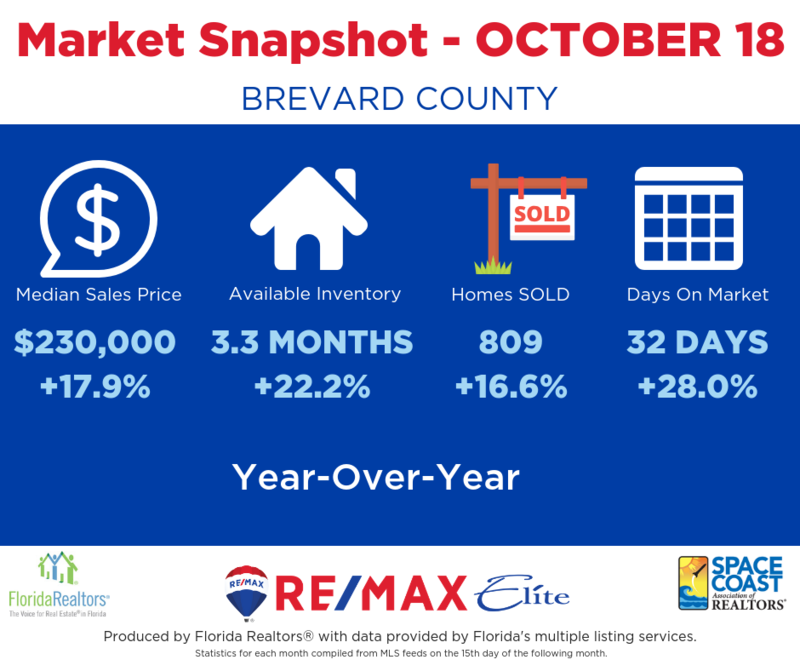 The Median Sales Price for Brevard Single Family homes is up 17.9% to $230,000 compared to a year ago, which was $195,000. New Pending Sales are up 3.7% and New Listings are up 10.6%. Median Sales Price for Townhomes/Condos is up 9.4% to $175,000 compared to a year ago, which was $160,000. Months Supply of Inventory increased to 3.6 months in October 2018 from 3.4 months in October 2017. Traditional Sales are up 26.2%, with a median sales price of $175,000.